Measure DC load currents of an electrical installation and transmit information to power monitoring devices via a safe 100mV RJ12 output and without disrupting the wiring. Plug & Play: A quick RJ12 connection makes wiring easy and reliable and prevents wiring errors. Four different frame sizes cover a wide measurement range. Color-coded cables for ease of identification, and to prevent wiring errors. 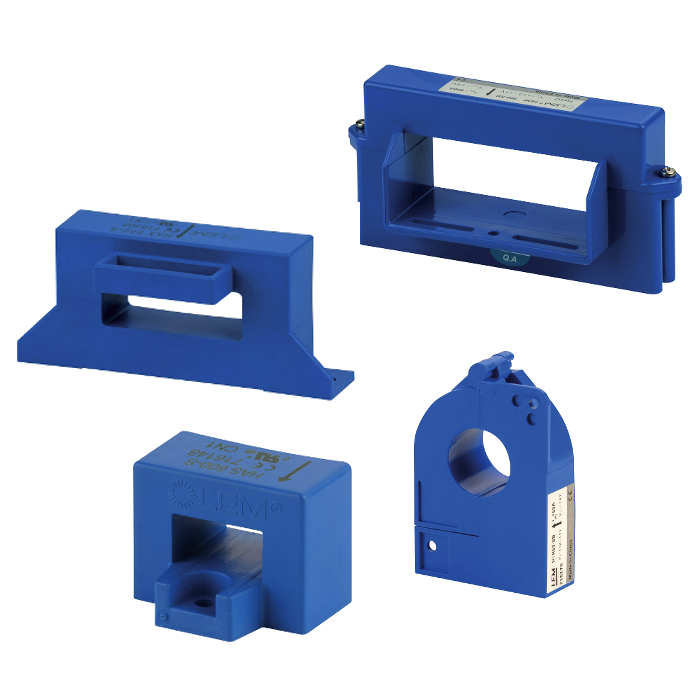 The DC current sensors measure the DC load currents of an electrical installation and transmit information to the DIRIS Digiware Idc measurement modules via an RJ12 cable. The range comprises solid-core and split-core sensors ranging from 50 to 5000 A in various sizes allowing them to be used in new or existing electrical installations. Up to 3 different DC sensors can be connected to the same DIRIS Digiware Idc module.